It’s here! The 10th Annual Prairie Moon Ranch Cowboy Christmas Stocking pattern! 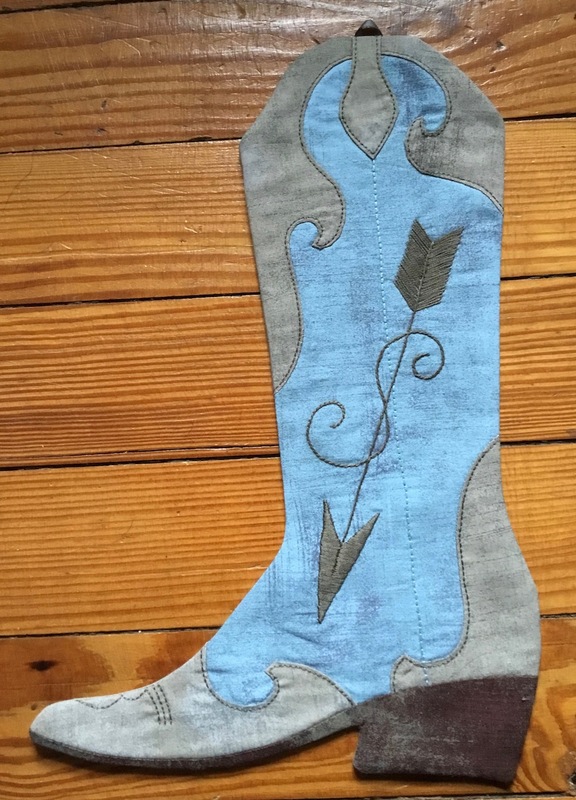 This year’s stocking is called “Straight Arrow”. While I made mine in gray and blue, you can always choose your favorite color combo. You can also make it without the embroidery, if you aren’t a fan of so much hand stitching. Straight Arrow measures 14 3/4″ tall, and 9 3/4″ from heel to toe. You can enlarge or reduce the pattern to make your stocking whatever size you need. The lining extends only from the top down to the heel, but not into the toe portion of the stocking. You can also reverse the pattern if you want your stocking to point the other direction. Straight Arrow is available in both a print and a PDF version in my Etsy Shop. And you can also buy the print versions of any of the stockings at Sew Sweet Quilt Shop any time. I also have a limited number of kits available for this year’s stocking, including the exact fabrics that I used to make the original version. 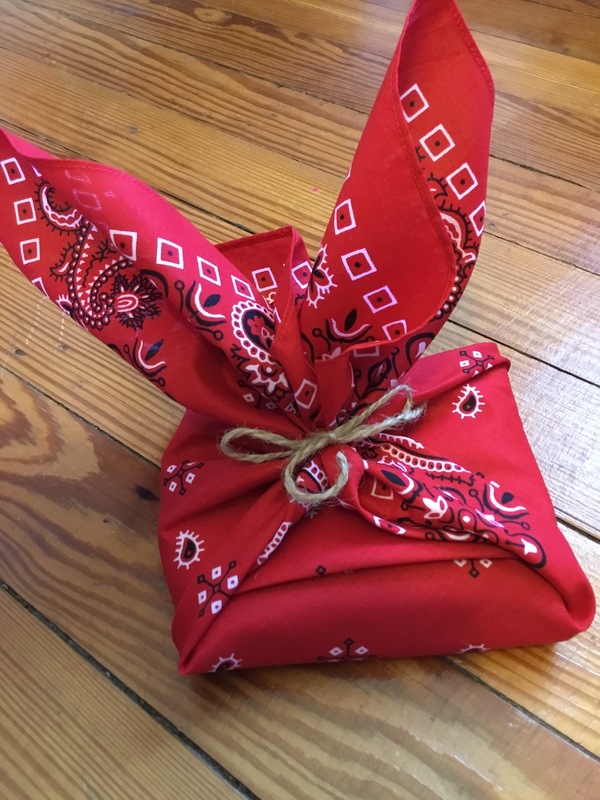 The kit includes everything you need to make the stocking: pattern, fabrics, embroidery floss, and stabilizer — and it all comes packaged in a cute reusable red bandana! You’ve still got plenty of time to whip up a cowboy boot stocking for your favorite cowboy or cowgirl — and remember, there are now 10 different styles and designs to choose from! Another wonderful Christmas boot stocking! I am amazed at how you just keep designing cute ones! I’m thinking that a couple of these would be great to add to the WRCF Auction for next year. I need to do that. I’ll add a card with your info so folks can buy your patterns. I like the simplicity of this one, and the colors you used. Your kit packaging is adorable!